If you are like me, you have probably been pinning and coveting all these awesome bunting ideas that are so popular for parties or room decor. I wanted to make something like that, but didn’t have a budget for materials. So I decided to make one for free! – Ribbon / yarn / string / twine, etc. I decided to do a notched shape, but the traditional triangular shape will work perfectly. Cut out your shapes, and decorate them to your liking. String them up and you’re done! 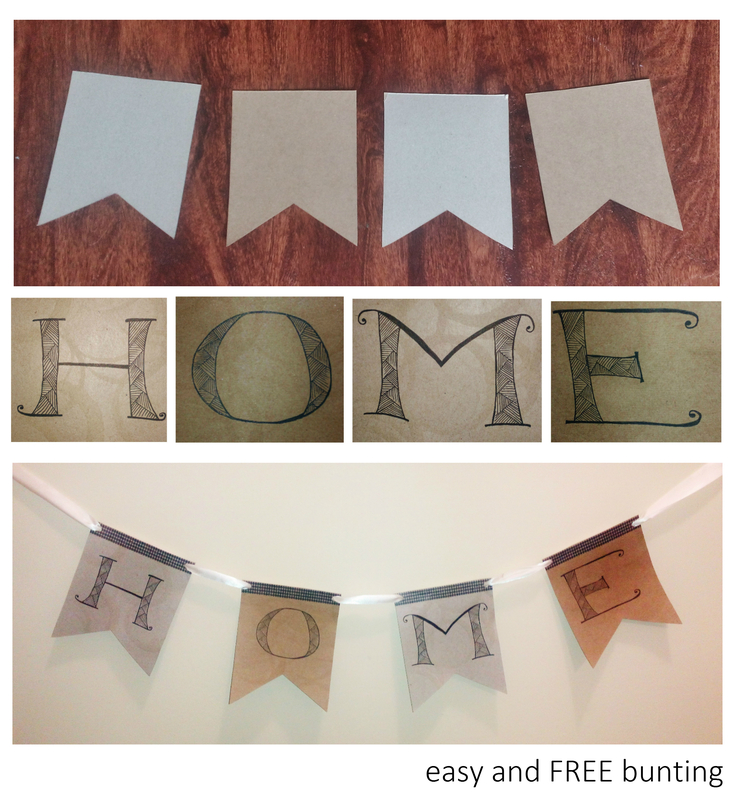 I like bunting with lettering, so I decided to go with “HOME” for the entrance to our apartment. I used a regular black pen, and doodled / zen-tangled the insides of the letters, which by the way is a very calming process!